The US Energy Industry Association’s (EIA) January 2018 short-term energy outlook (STEO) forecasts that natural gas power generation will remain the primary source of the USA’s electricity generation for at least the next two years. 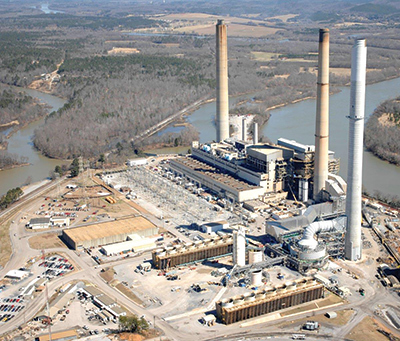 The share of total electricity supplied by natural gas-fired power plants is expected to average 33 percent in 2018 and 34 percent in 2019, up from 32 percent in 2017. The EIA expects the share of generation from coal, which has been the predominant fuel for power generation, to average 30 percent in 2018 and 28 percent in 2019. The mix of energy sources used for power generation continues to shift in response to changes in fuel costs and the development of renewable energy technologies. Since 2015, the cost of natural gas delivered to electricity generators has generally averaged USD3.50 per mn British thermal units (Btu) or less, and is expected to remain near this level through 2019. EIA expects the cost of natural gas for electricity generation to remain relatively competitive with coal over the next two years. The average cost of natural gas delivered to generators in 2018 is forecast to fall 2 percent, while the forecast delivered cost of coal rises 5 percent. These relative price changes should increase the share of natural gas generation in 2018. The costs of both natural gas and coal in 2019 are expected to remain relatively unchanged from this year’s forecast prices. Power plant operators are scheduled to bring 20 GW of new natural gas-fired generating capacity online in 2018, which, if realised, would be the largest increase in natural gas capacity since 2004. Almost 6 GW of the capacity additions are being built in Pennsylvania, and more than 2 GW are being built in Texas. In contrast, about 13 GW of coal-fired capacity is scheduled to be retired in 2018. These changes in the generating capacity mix contribute to the continuing switch from coal to natural gas, especially in southern and midwestern states. This story was first reported in the CapProCon e-newsletter. Subscribe today.